Few leadership titles have been written on the lives of women. 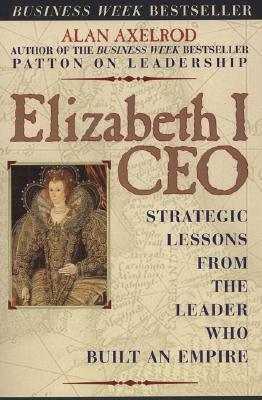 Alan Axelrod, noted historian and business management expert, reveals how Elizabeth I overcame daunting obstacles to win intense loyalty and lead England to greatness. The queen's long reign offers lessons on: developing a leadership attitude and image enhanced by personal dynamism; becoming an effective coach and mentor skilled at nurturing creativity; manipulating others -- subtly and ethically and knowing and anticipating the "enemy." How did Elizabeth meet the challenges that faced her, managing not only to stay alive and keep her imperiled nation afloat, but also to win the intense loyalty of her people and lead England to greatness? Historians and biographers have offered many explanations. Elizabeth I, CEO takes a fresh view, exploring issues that are relevant to leaders -- especially business leaders -- of today. Author Name: Alan Axelrod Ph.D.